Indulge yourself with a really real hot chocolate! 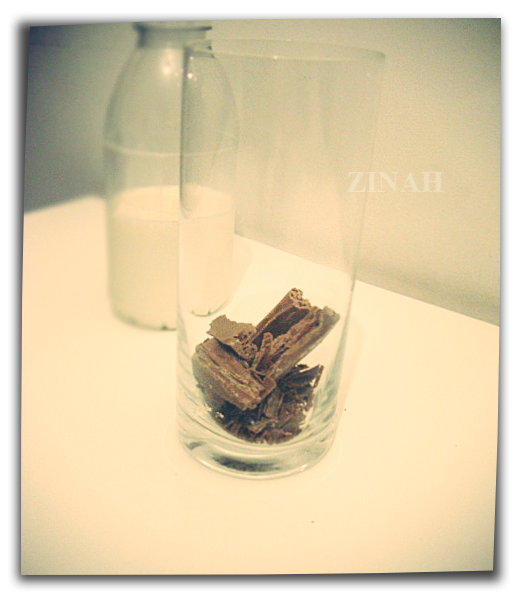 Cut any milk chocolate (I used Galaxy Ripple) into pieces and put it in a tall glass. Pour in boiling hot milk, until glass is almost full. Mix it, and enjoy! Its really heart warming and a sweet treat after a stressful day. You should really try it! For more pictures, visit the Facebook Page!